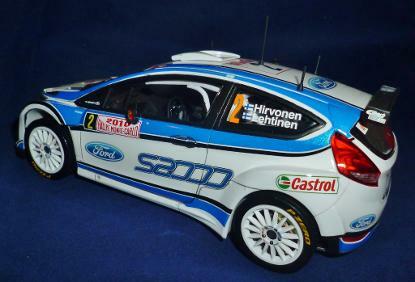 2010 Ford Fiesta S2000 Rally car history. The Super 2000 challenge series in Rallying and touring cars was part of the FIA's push to reduce the costs of motor sport. The idea was that a production road car have the minimum of alterations, mostly aimed at safety, to stimulate more affordable forms of motor sport. Of course the touring car racers were different to their rally counterparts, for instance the rally cars could have four wheel drive and the touring cars do not. Several manufacturers supported this idea and most of the major car companies put forward suitable low cost production chassis for the teams to work with. 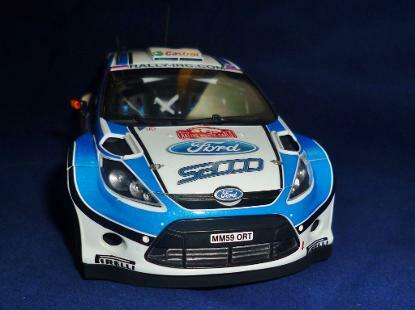 The Fiesta S2000 rally car made its public debut as course car on the final round of the 2009 Intercontinental Rally Challenge (IRC) in Scotland. The unveiling of the new project was held at M-Sport HQ in Cumbria and everyone seemed very upbeat about their new challenger. 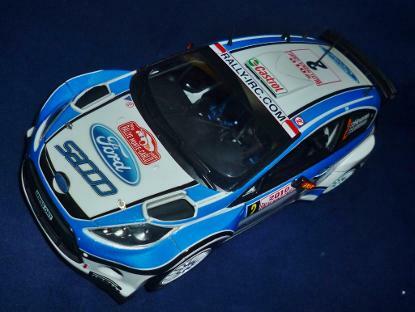 M-Sport Managing Director Malcolm Wilson said "This is the first global rally car for Ford and M-Sport," and "I really believe that we have produced a fantastic rally car and this launch is a big step to seeing it out competing in rallies. 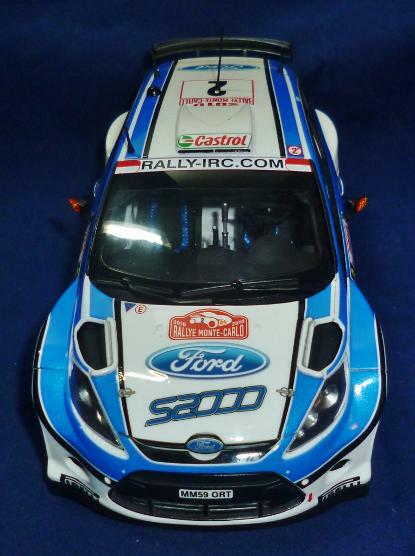 It's the first time in five years that we have been able to offer a Ford rally car that can challenge for overall victory in national championships across the world." 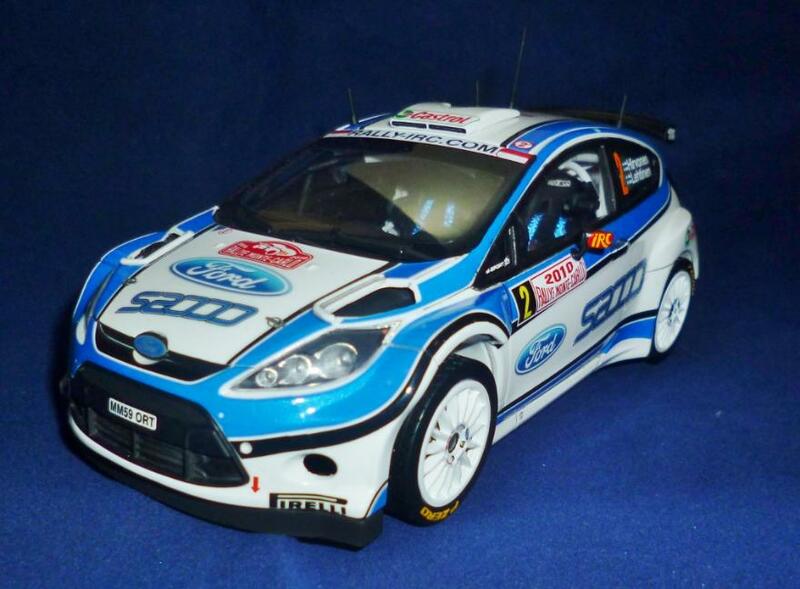 The Fiesta S2000 made it's competition debut at the 2010 Monte-Carlo Rally in January of that year. Officially it was the 78ème Rallye Automobile de Monte-Carlo consisting of 15 special stages between January 19th –23rd, 2010. The competition was expected to be tough with the field including the former F1 star Robert Kubica, WRC stars Mikko Hirvonen and Toni Gardemeister as well as the reigning IRC Champion Kris Meeke. From the 63 starters 19 were in the S2000 category cars. 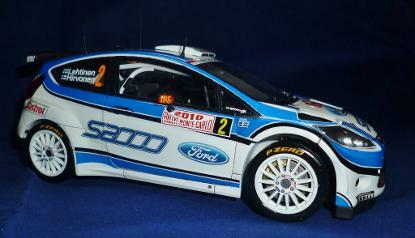 All this gave a great boost to the Ford M-sport Fiesta S2000 program. The company went on to deliver 22 Ford Fiesta S2000 rally cars to customers as far flung as Finland, the Czech Republic, Ireland, Spain, South Africa, Poland, Portugal, Abu Dhabi and Italy. The S2000 car was also successful in the hands of Xavier Pons, and co-driver Alex Haro, who won the SWRC classification of the 2010 Rally México which from the 5th to th3 7th of March 2010. 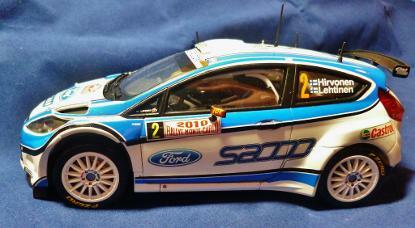 In April the same pair won the Super WRC classification of the 29th Jordan Rally. S2000 Fiestas also won three other events in 2010. The Fiesta did indeed go on to provide a very good base for Fords WRC challenge so the M-sport teams launch positiveness was obviously well founded. This model was built at the end of August and beginning of September 2015. It is straight from the box following the kit instructions as a test of the quality of this (relatively) new kit manufacturer. 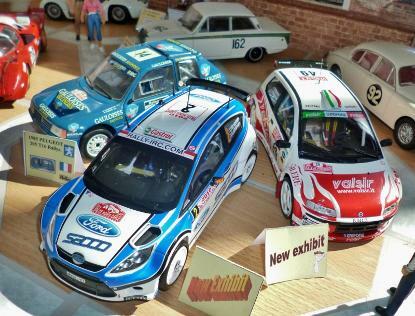 Belkits have certainly made an impact on the model car market with several interesting Rally car kits. 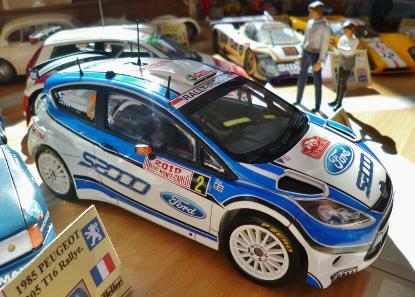 Their first production kit was the Peugeot 207 S2000 and then the Fiesta S2000 and Fiesta WRC followed fairly quickly afterwards. Both Fiesta kits are basically the same bar the necessary alterations, or rather alternative parts, for the two different categories; these are certainly not just a different set of decals and different box art. These exciting new kits offer some very interesting subjects and seem to be expanding at the rate of two or three new kits a year. Predominantly Rally car oriented the said subject list covers the 1960s to the very latest cars and each kit includes nice photo-etch parts, good decals and well thought out instructions. Generally the parts fit is good, perhaps not the 100% positivity of Tamiya but there is little extra work to do making parts fit or filling gaps. That said the locating pins are semi-circular in shape rather than round, great for positive fitting and aiding directional accuracy between left and right hand parts; but only if the semi-circular holes are the right way around too, which isn't always the case. If the cad-cam work was done in Belgium then the plastic was probably moulded in China. I say this for two reasons. The plastic is soft, much softer than Tamiya or other Japanese manufacturers, and because the decals clearly state "Printed in China". Further evidence might be that the quality of moulding leaves some of the details less crisp than Japanese kits and more akin to Revell de. F1 kits. Overall the kit builds well and rewards patience. Remembering that this is kit # 002 from Belkits means this is the start of a learning curve that we hope will see the business go from strength to strength. The acid test is "would I buy another of their kits?" and the answer is an emphatic yes! Zero Paints Brilliant White was airbrushed over the body parts after a coat of Alclad II White primer/micro filler. Alclad II black primer and their metal paints were used elsewhere. Plamo gloss Top coat was airbrushed over all the decals to seal them. For the smaller parts and details Citadel and Deco-Art acrylic paints were used.